Your car exterior is covered in grime and stains but you lack the professional equipment to deal with it on your own? You have come to the right place – we provide premium car upholstery cleaning services throughout Hendon and the vicinity at the most competitive prices possible. Just reach us over the phone or fill in our service form online to request your free evaluation right away! If you can’t remember when was the last time you actually had your car upholstery cleaned, you should definitely consider giving us a call to request a free quote for our quality car upholstery cleaning services. Our team will evaluate the condition of your upholstery and identify the origin of the stains, if there are any. Please note our technicians are fully-equipped with professional machines and use only specialised, top-shelf cleaning products which is why they always deliver satisfactory results. They will proceed with detailed vacuuming to remove all dust, crumbs and specks of sand from the fabric. The team will pretreat the stains they have identified with specialised detergents to ensure their effective removal. 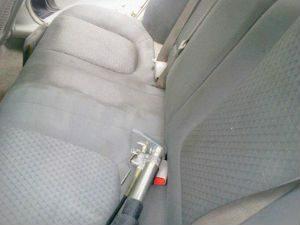 Using their high-end steam cleaning machines, the technicians will quickly and easily restore your car’s upholstery to its store-bought condition. As their equipment enables them to use very small amounts of water in the process, you are guaranteed quick drying times. The service includes cleaning of seats, headrests, seatbelts, floor mats and door panels. 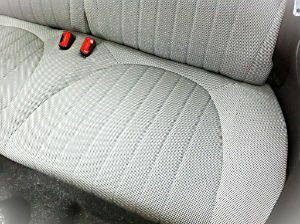 If our offer appeals to you, please get in touch with our call centre assistants to make an appointment for our quality car upholstery cleaning services in Hendon. Our assistants are on call throughout the week. We expect hearing from you soon!